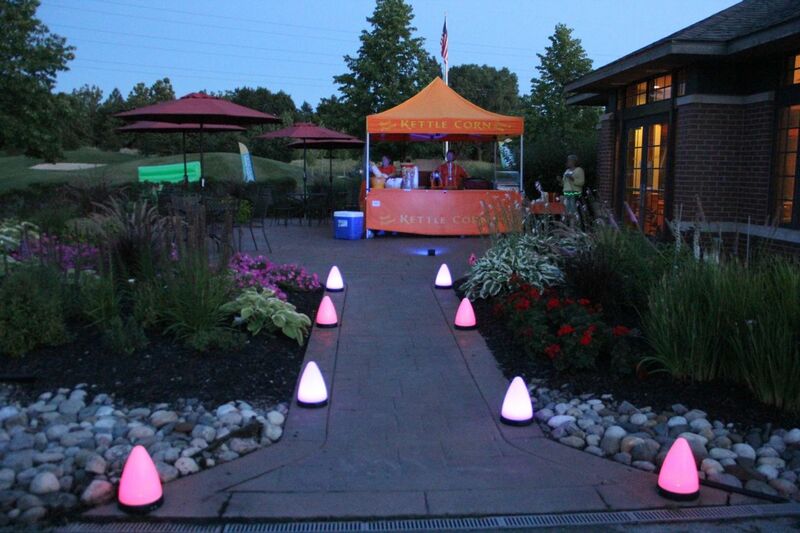 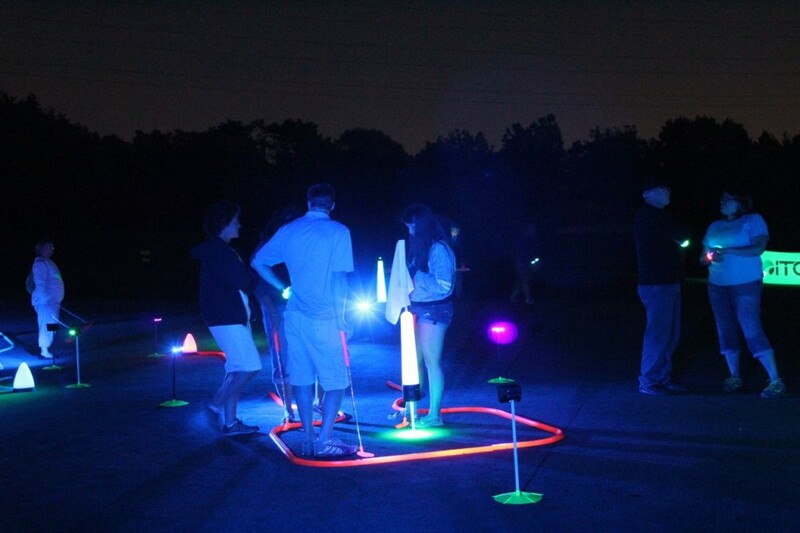 Here are some highlight photos of a night golf event we did with the Red Oaks County Parks department outside of Detroit, MI. 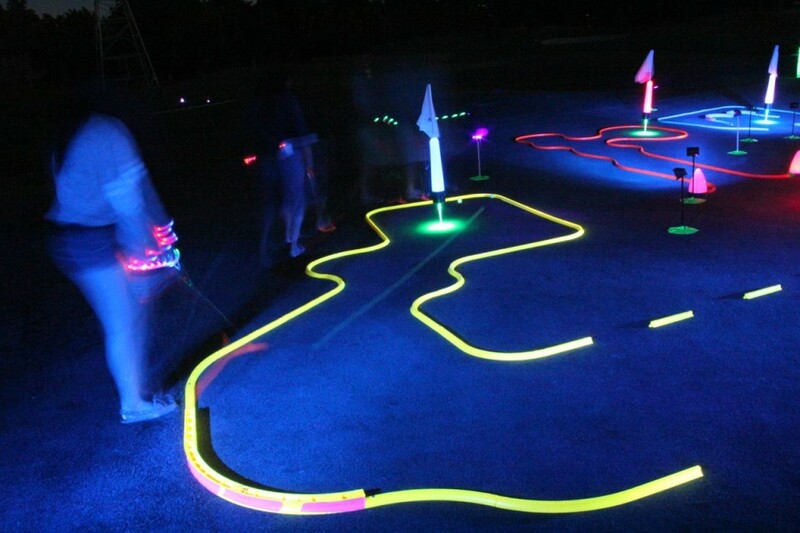 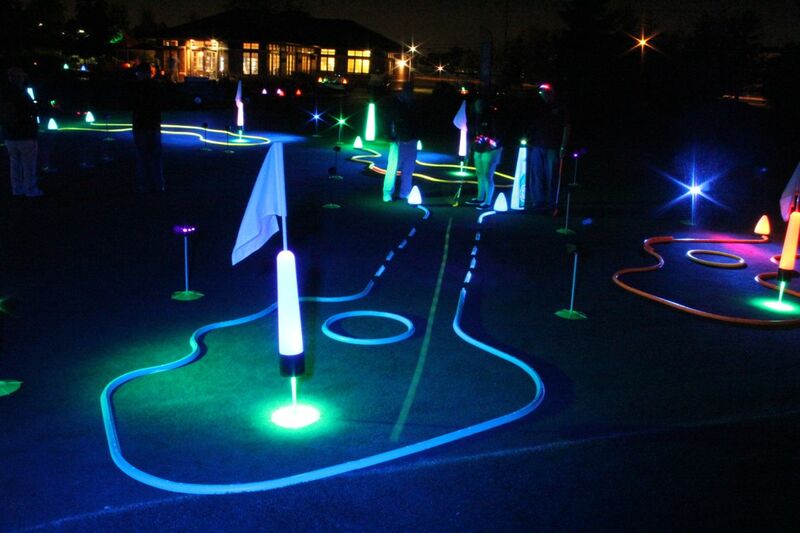 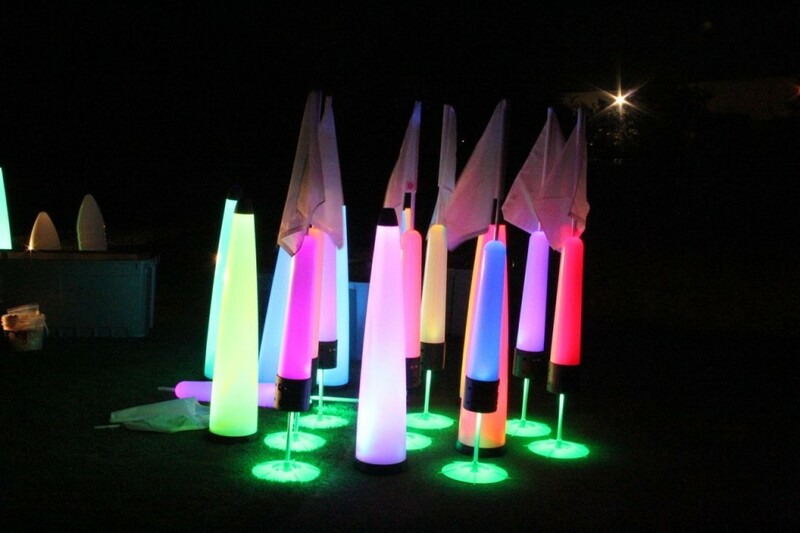 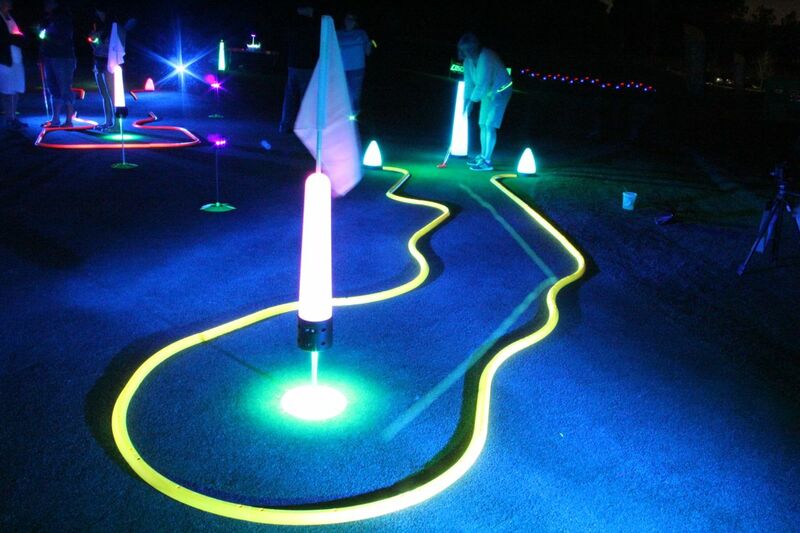 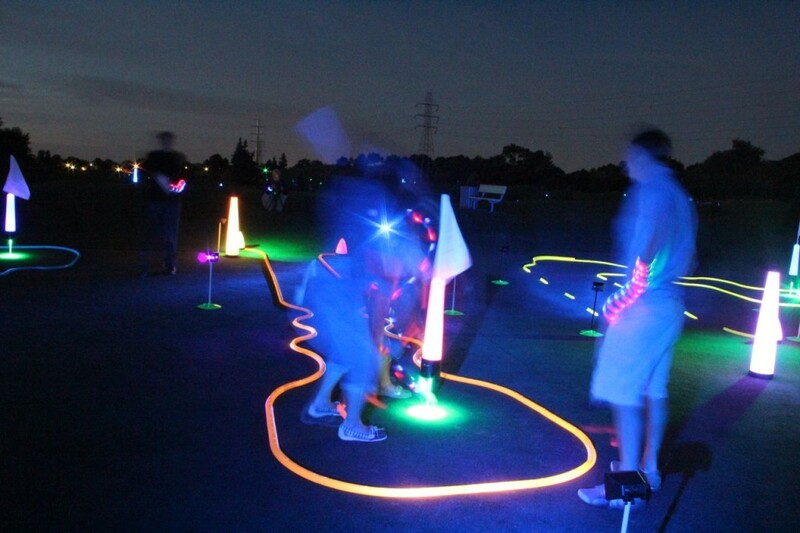 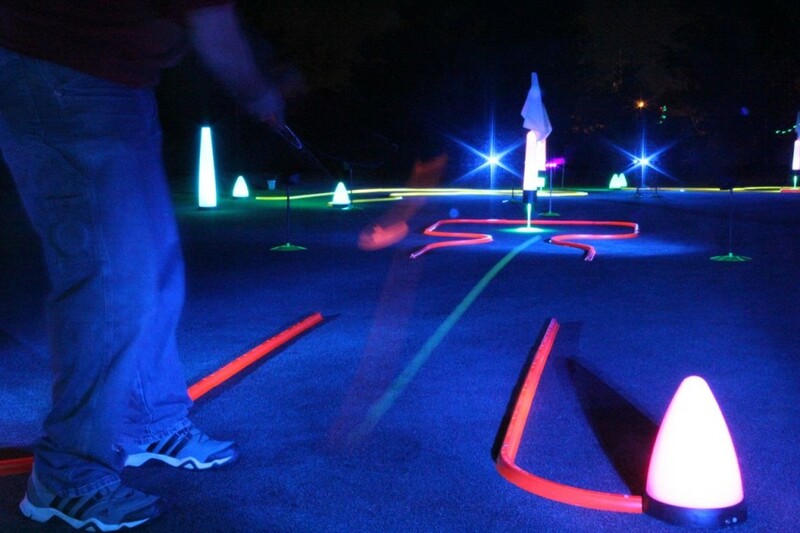 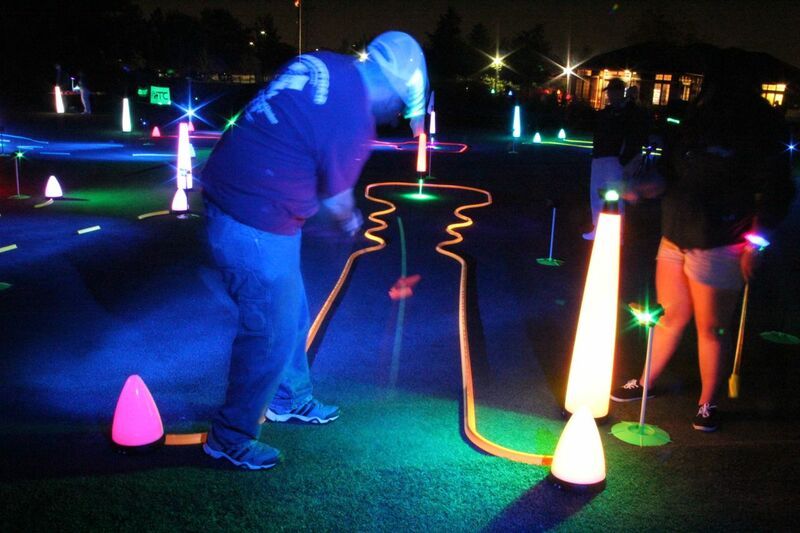 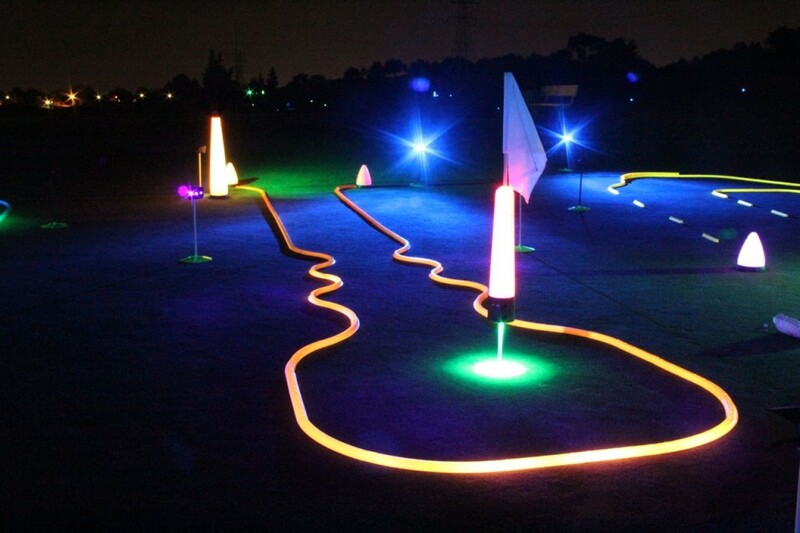 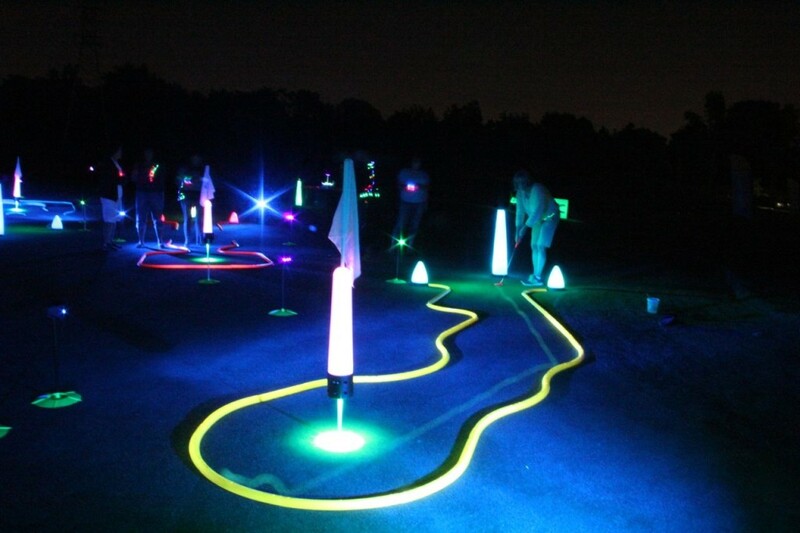 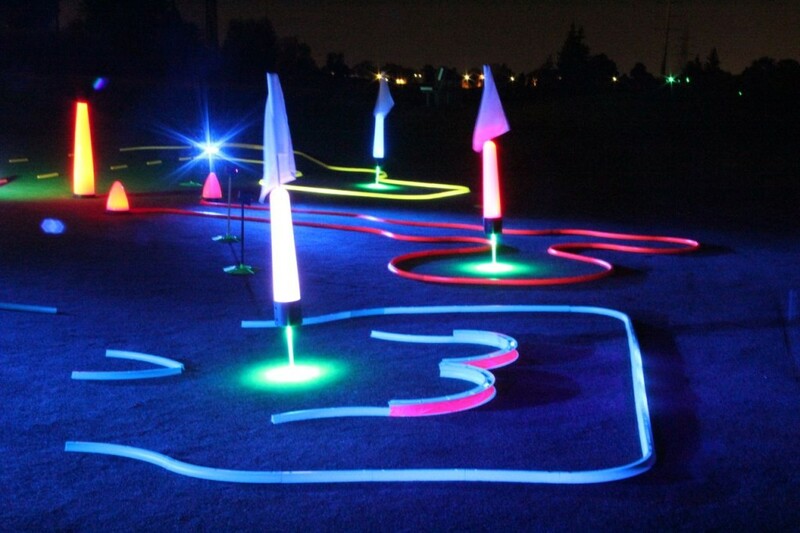 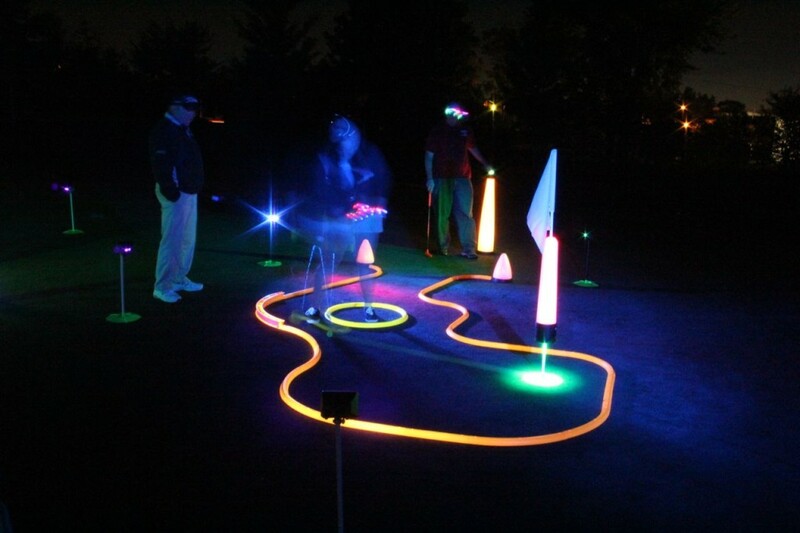 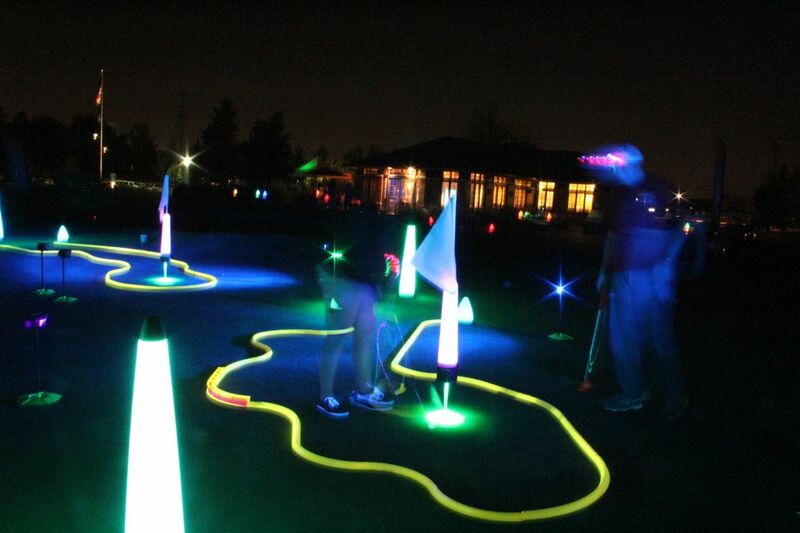 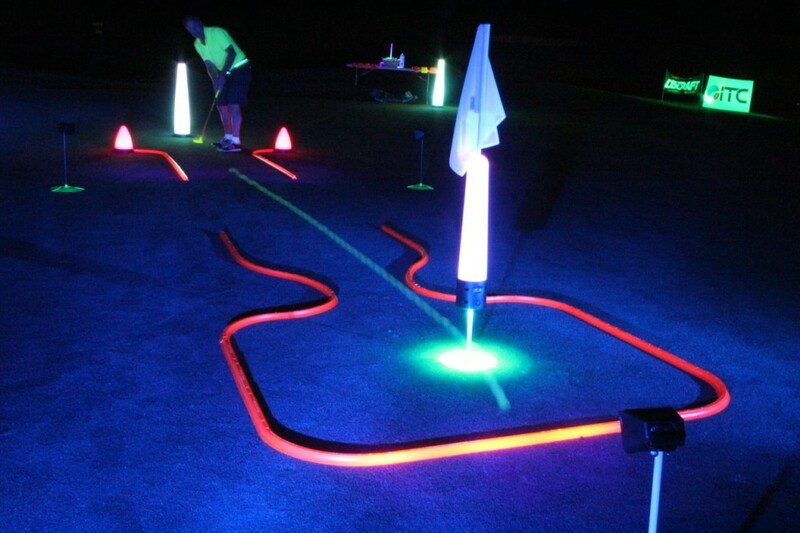 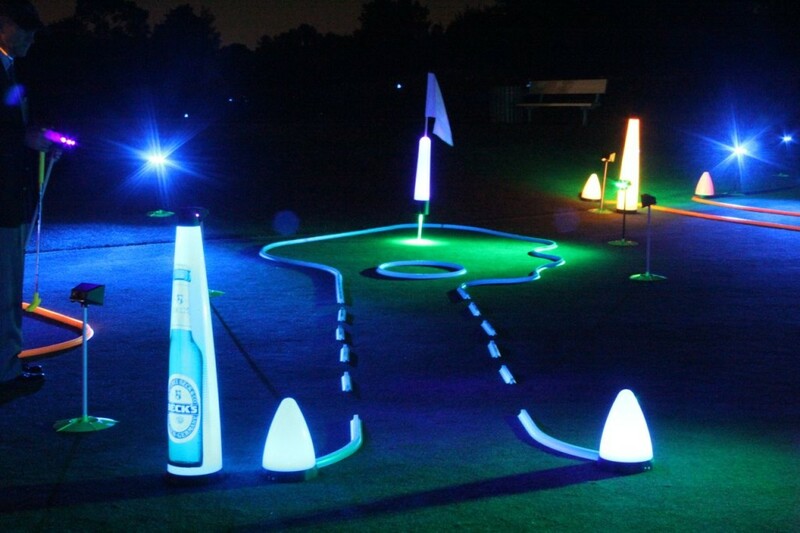 They put on a festival of glow in the dark night golf frisbee – disc night golf and a full 9 hole neon putting course on their practice putting green. 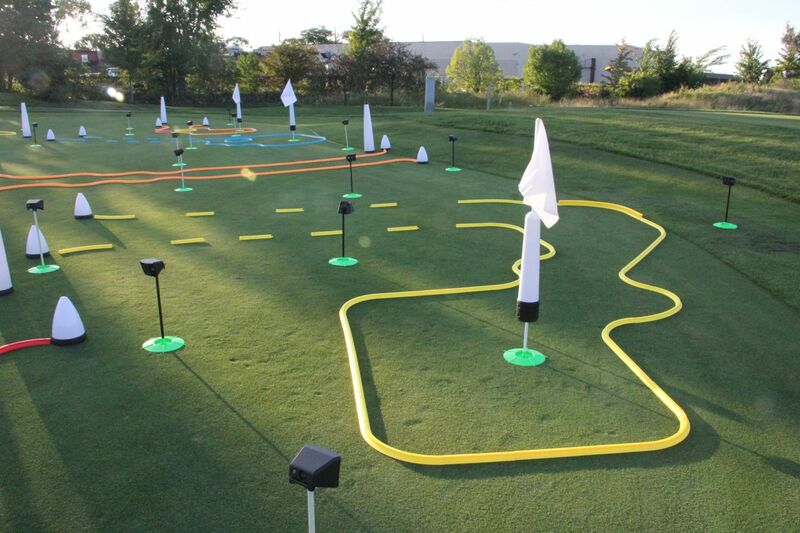 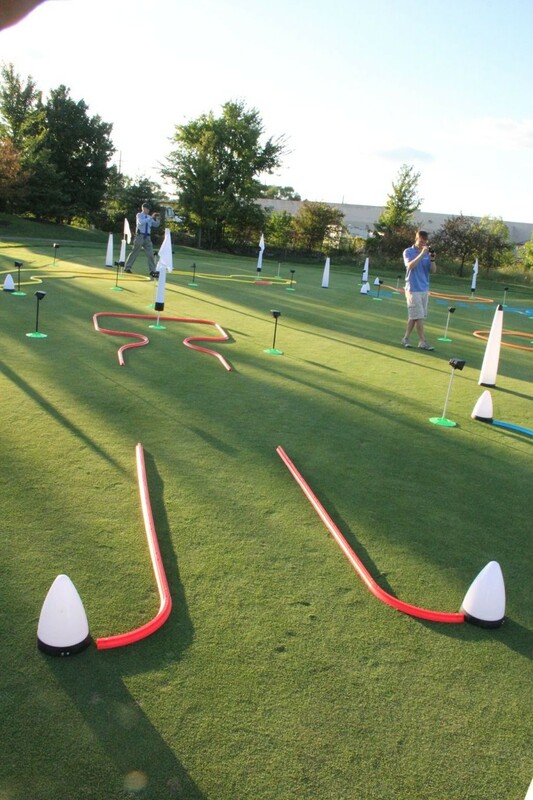 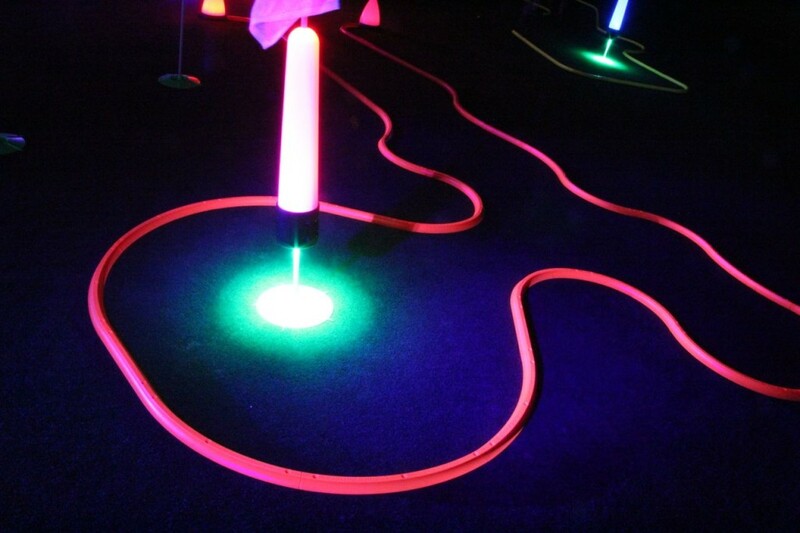 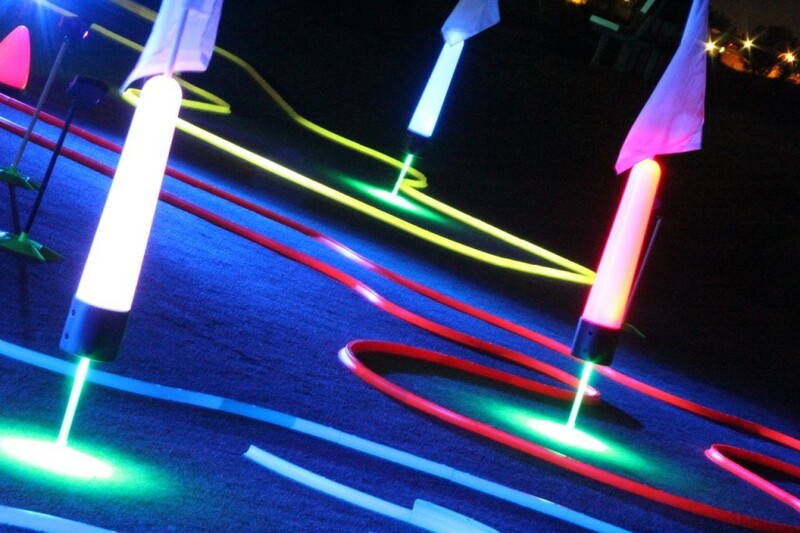 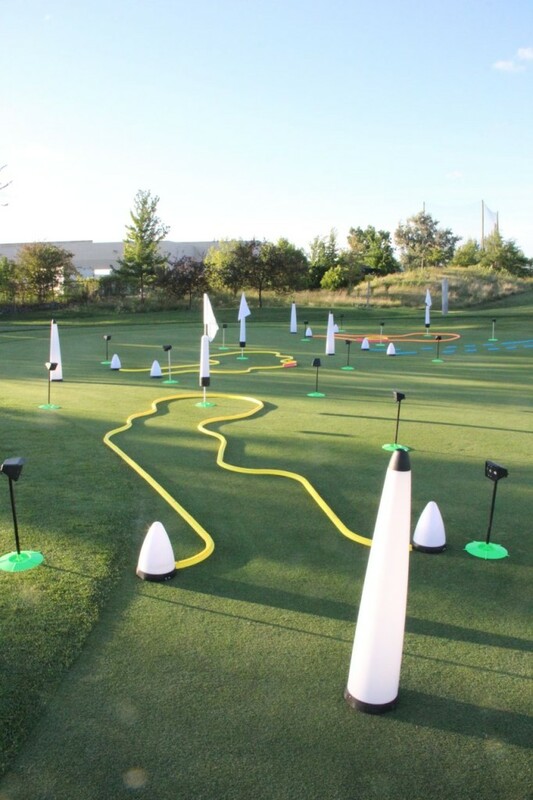 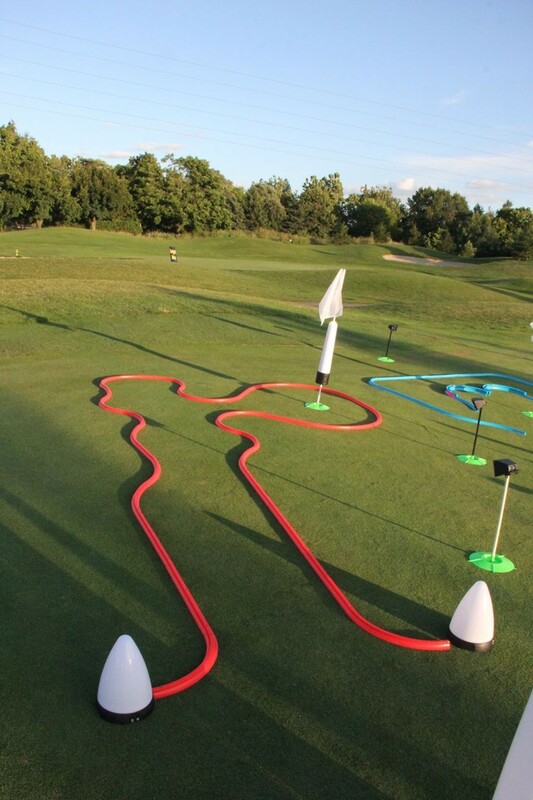 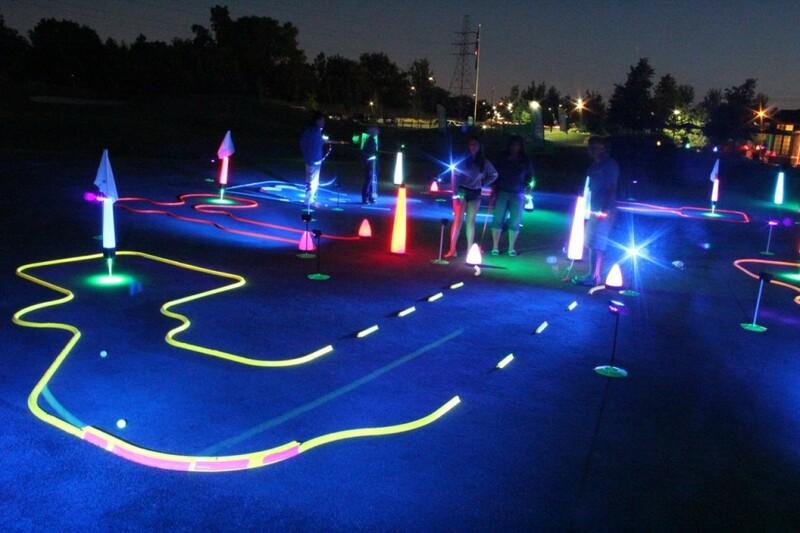 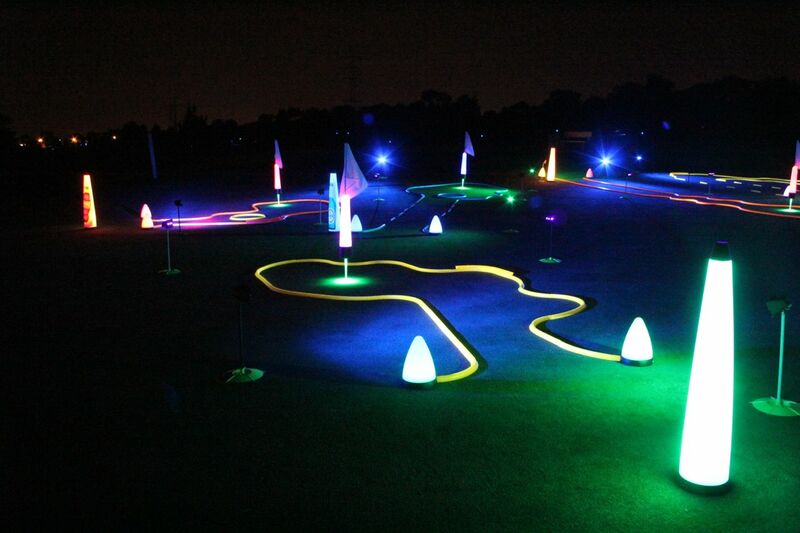 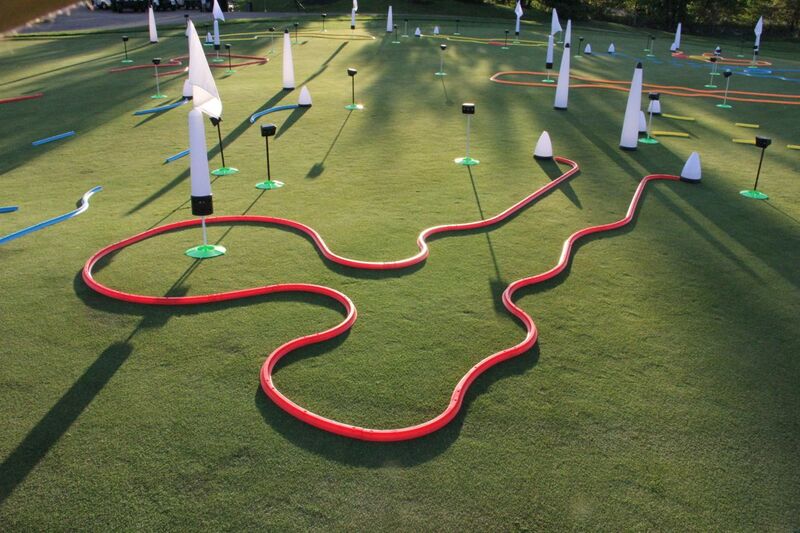 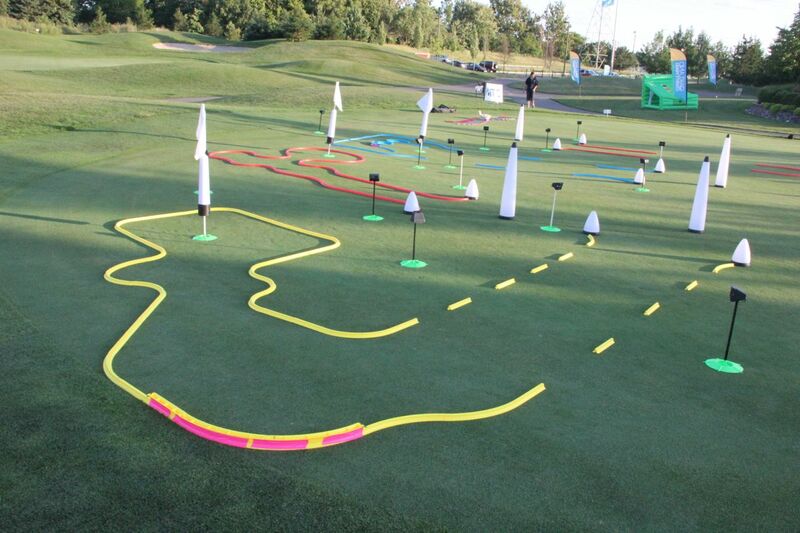 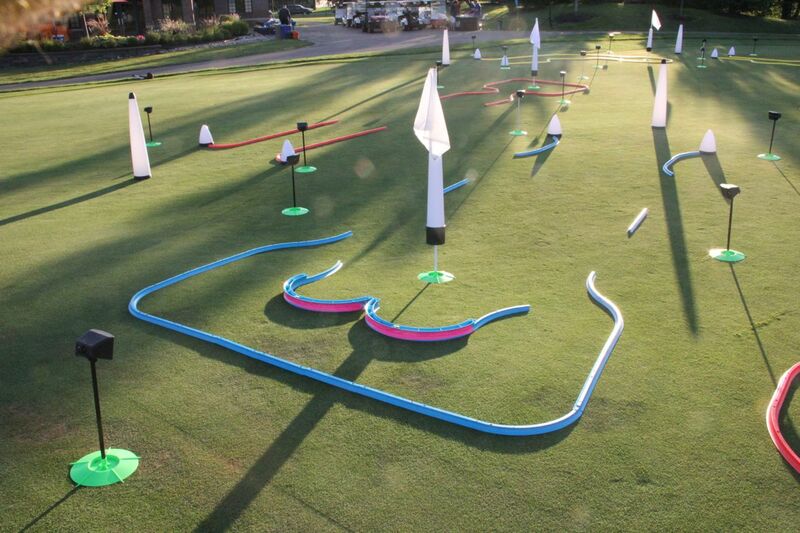 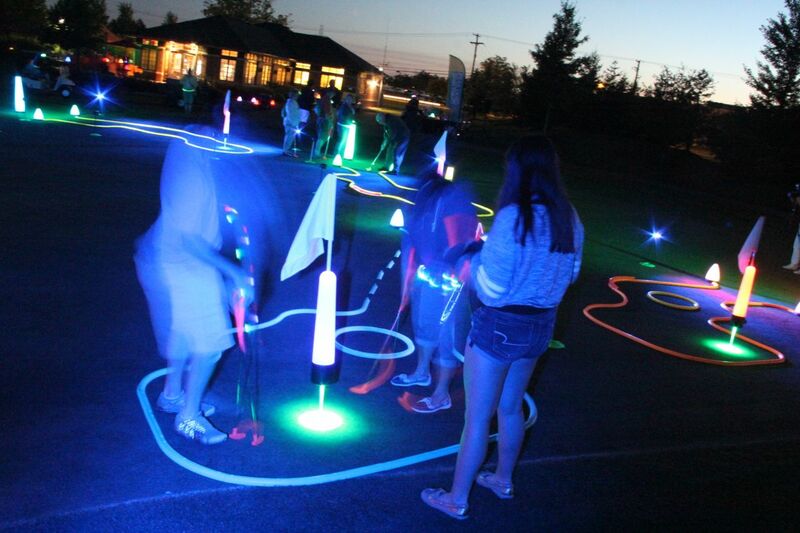 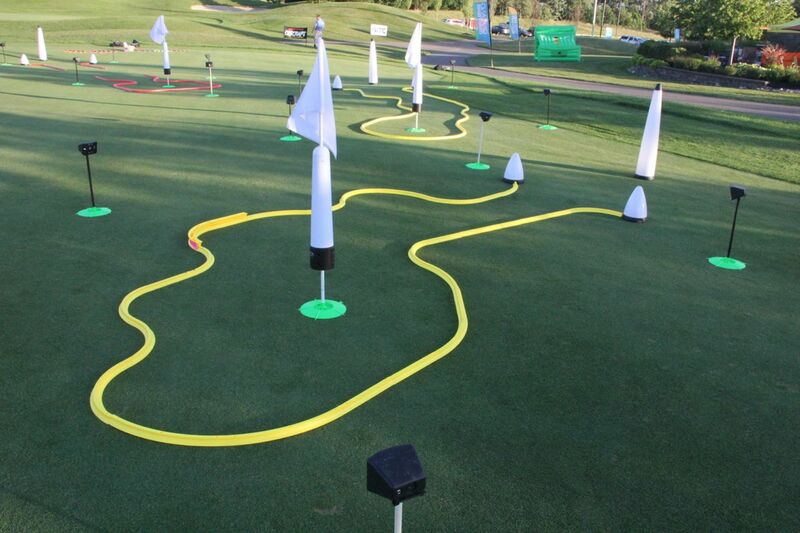 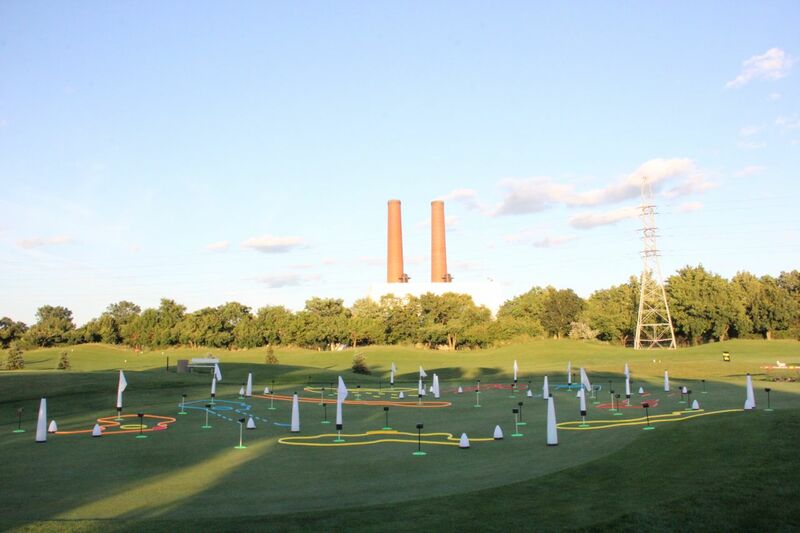 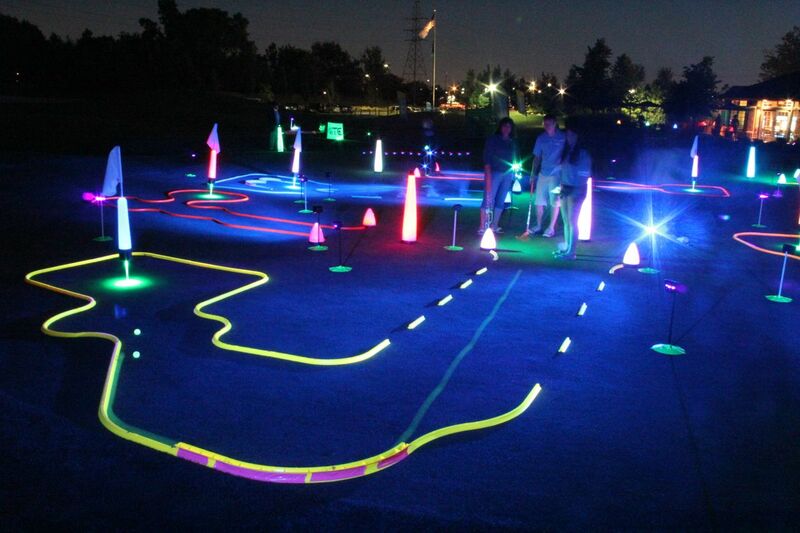 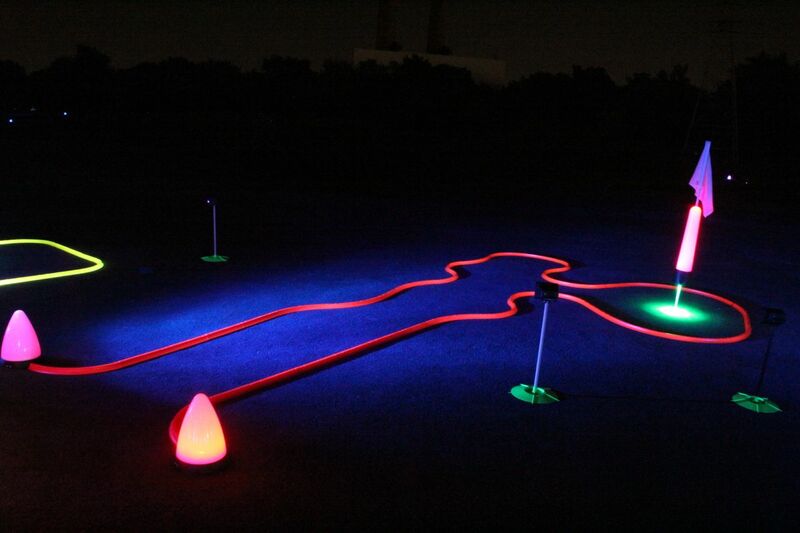 We outfitted the putting green with 9 holes of new neon golf designs using our cosmic putting track. 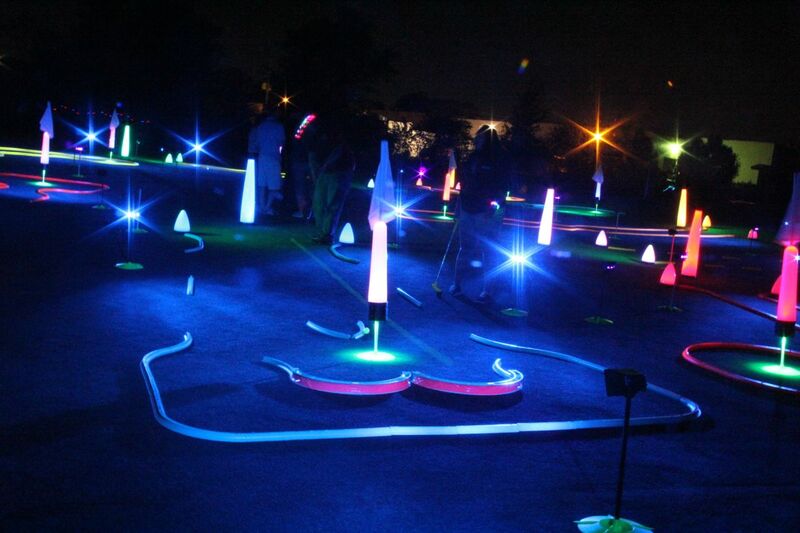 We then lit up several fairways with lights along with lighting up the disc targets so players could see their targets. 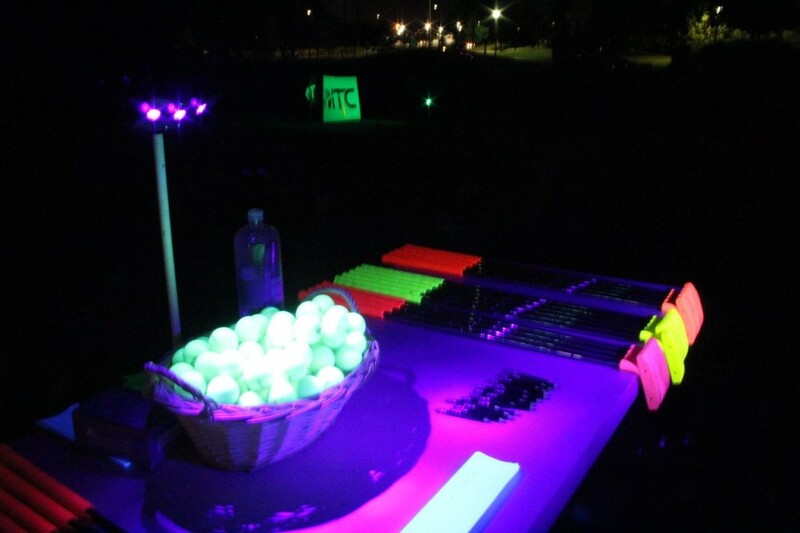 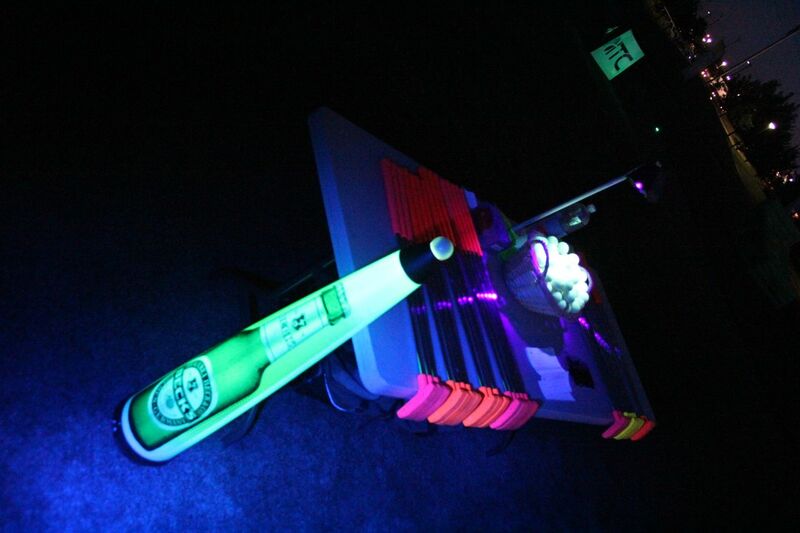 Below are highlight pictures from the glow in the dark putting competition. 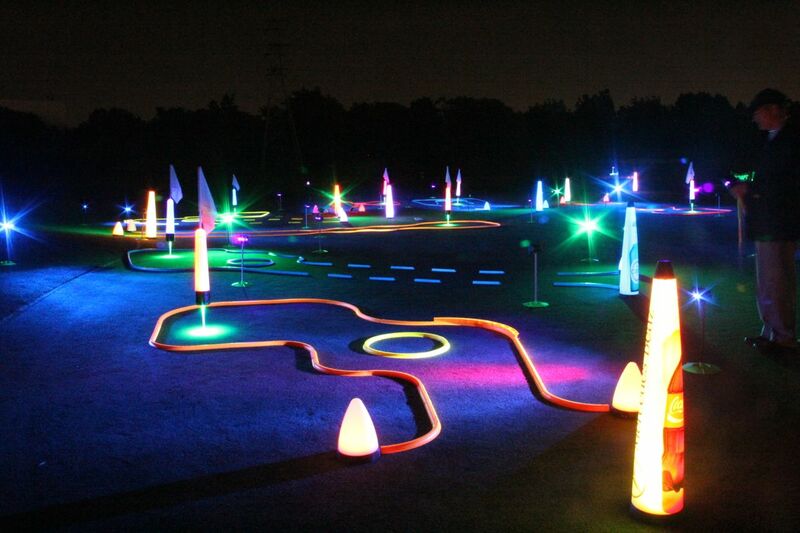 We broke up the images by hole so you could see what the night golf holes looked like during the day, then at night. 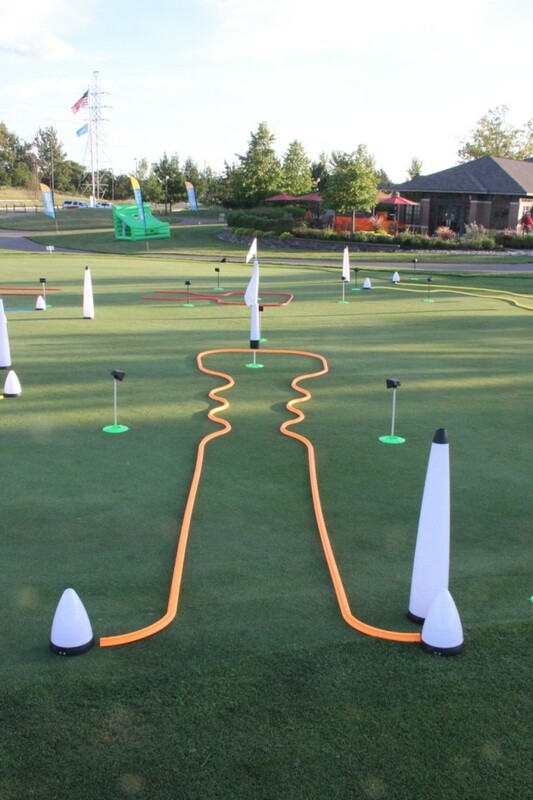 The fun thing about this event was the creativity of the hole. 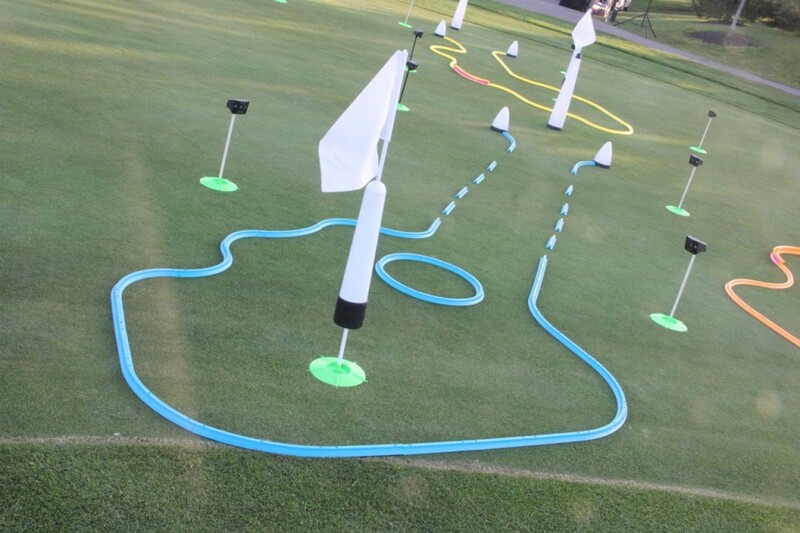 We took a bunch of the holes and create banker shots by flipping the putting track rails and staking them together with long golf tees. 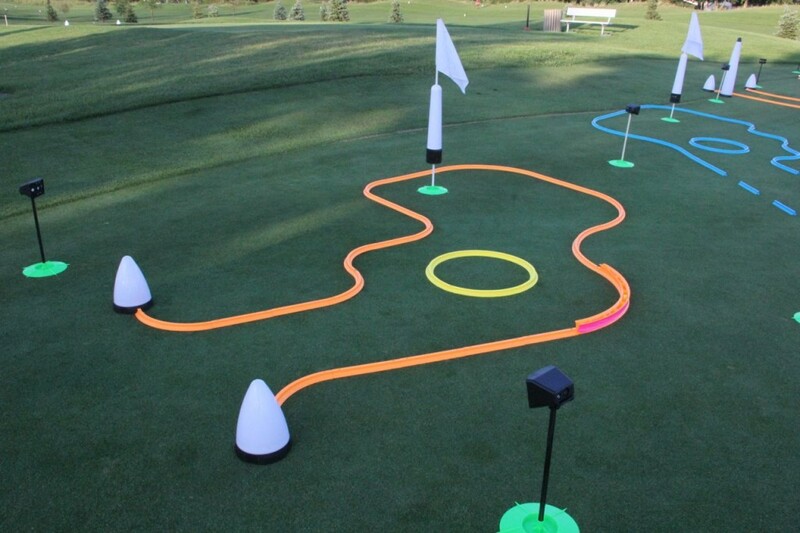 So players would hit to a banker and the ball would zip around toward the hole. 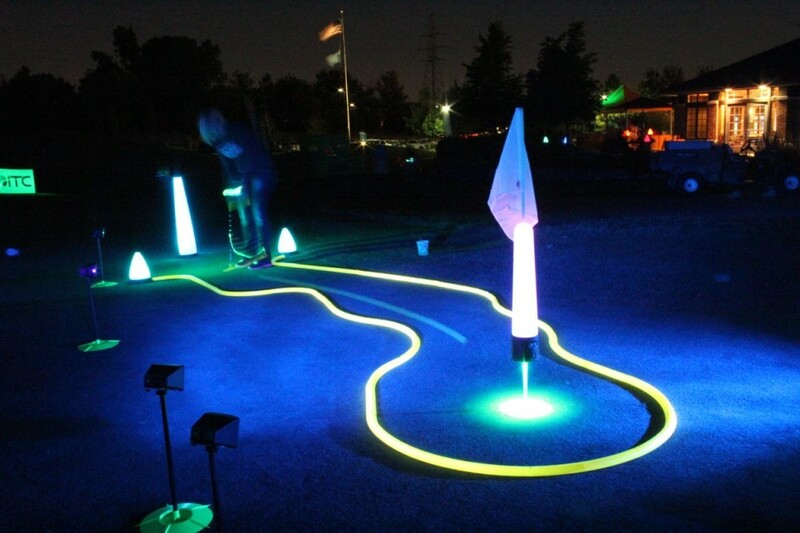 We want to thank the disc golf association as well as disc craft for their sponsorship of this event. 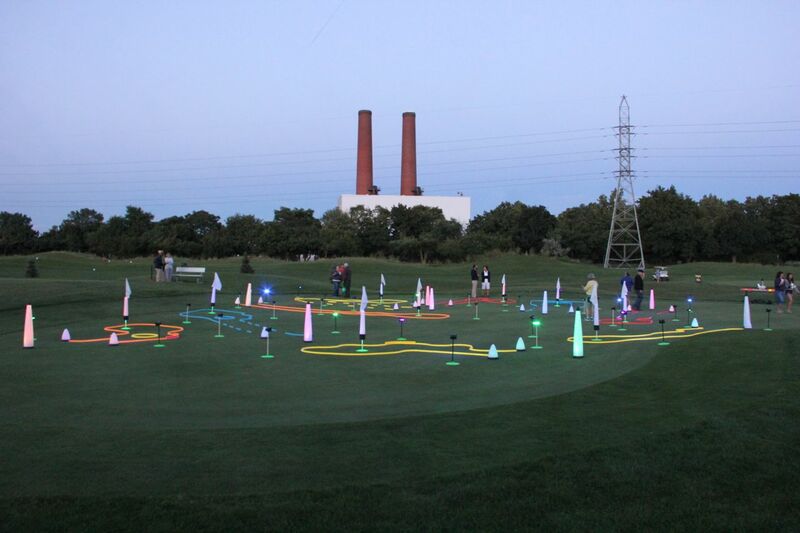 The parks department is looking forward to doing many more.